Enterprise PDM 2015 Saw Some Big Changes. Did You See This Small One? The latest release of SOLIDWORKS Enterprise PDM saw some great new enhancements and extended capabilities. It was hard to miss the new and improved Web 2.0 interface as well as the Microsoft Office EPDM Add-in. However, the same can't be said for some of the more subtle changes. There are so many great features in SOLIDWORKS 2015 that we couldn't cover it all in one post. Part 1 of this six part series covered the SOLIDWORKS 2015 interface. In Part 2, we’ll discuss the new sketching features. SOLIDWORKS 2015 includes numerous new features, both big and small, including changes to the interface, sketching, features, parts, assemblies and drawings. We’ll go through each of these one-by-one in this six part series. In Part 1, we’ll talk about what’s new in the SOLIDWORKS 2015 interface. When it comes to working in SOLIDWORKS, quickest and easiest are synonymous. What's quick is easy, and what's easy is quick. Today I'm going to share a quick tip showing you the easiest way to move and rotate your models. The easiest way to move and rotate your models is by maximizing the out of the box functionality of the SOLIDWORKS mouse controls. Most would agree that the middle mouse wheel is the best way to change the camera view with the pan, zoom and rotate commands, but why stop there? The mouse can also be used to move and even rotate your models. Better yet, there's no need to actually go in to the move command to do this. 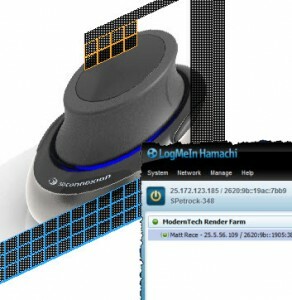 SOLIDWORKS will activate the command behind the scenes without you even noticing it. With every release of SOLIDWORKS, we see a myriad of new features and tools, and SOLIDWORKS 2015 is no exception. This latest release of SOLIDWORKS saw many enhancements both big and small. Some can extend your design and simulation capabilities like rotating mesh, while other smaller enhancements can simply enable you to design more efficiently. 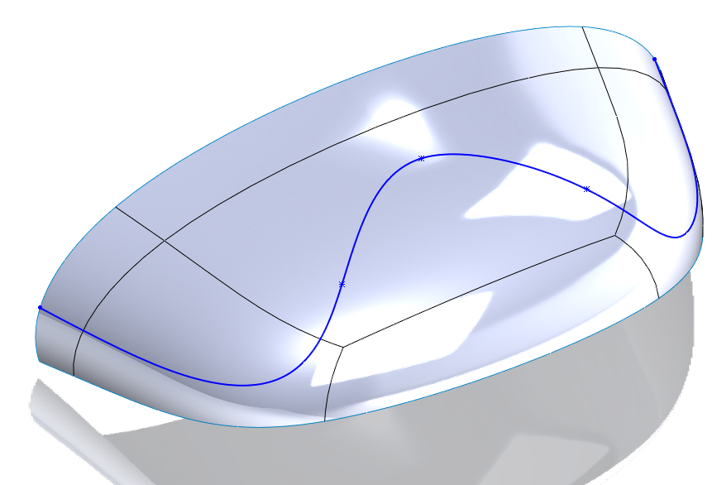 One of my personal favorite enhancements of SOLIDWORKS 2015 is the new way you can create angle dimensions in sketches and drawings. Meet the "Biad." This handy little tool enables you to create an angle dimension between a line and an imaginary horizontal or vertical line without the need for any extra construction geometry. It's sort of like the triad in SOLIDWORKS 3D CAD but in 2D space. When using the smart dimension tool, you simply select a line and a collinear vertex. 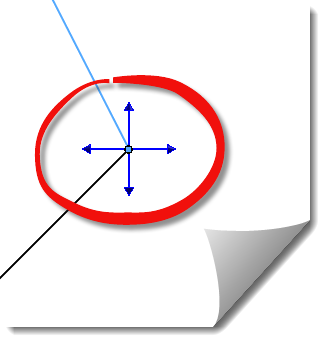 Then you will see the Biad or (as SOLIDWORKS officially calls it) a crosshair. You then choose one of the segments of the Biad. You will see that you are creating an angle dimension between your model's line and an imaginary horizontal or vertical line represented by the biad (crosshair's segements). The days of unnecessarily creating extra construction geometry to dimension your drawings are finally over. Thanks to the Biad, those lines are now seemingly extinct. If you have legacy Autodesk Inventor files or you have received an Inventor file and need to open it in SOLIDWORKS, it may seem as though there is a washed out bridge in your path - but don’t panic! You CAN do this in SOLIDWORKS. If you're like most SOLIDWORKS users, performance is your primary concern when it comes to modeling. Luckily, SOLIDWORKS has made great strides over the years to improve software performance overall and add great new features. These should be familiar since they represent the modes in which you're allowed to open a SOLIDWORKS model from the open dialog. Obviously there are pros and cons to each of these features. In certain situations, one might be more beneficial and appropriate than another. But to truly understand how these features really affect your SOLIDWORKS performance, we'll need to see what's inside the SOLIDWORKS file itself. With this better understanding of a SOLIDWORKS file, you're about to make a more informed decision when choosing which special functionality to leverage. So let's pop the hood and see what's inside! Every file, from the largest most complicated assemblies to the simplest blocks, are all made up of the same four ingredients. These are listed in the table below and you can see a visualization of them in the following image. 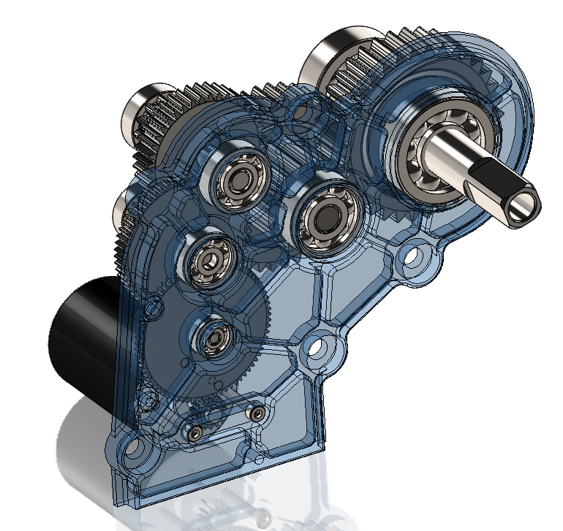 In every major release of SOLIDWORKS you will find hundreds of enhancements that will help boost your productivity and performance. Some of these performance gains happen behind the scenes without you even noticing, while others may require you know a trick or two to take full advantage of their capabilities. So here’s a trick that you can use to create photorealistic images in fractions of the time by using a free piece of software to create your very own render farm. If you took any of our SOLIDWORKS classes or perhaps saw a YouTube video, you may have noticed a discrepancy between the dimensions seen on other users’ drawings and your own. For instance, many students have noted that dimensions in drawings come in gray in some cases, and black or blue in others. This can be particularly frustrating if you have been able to bring in both colors separately without knowing. This blog will show you how to control the color of dimensions in a SOLIDWORKS drawing. A frequent question on our Support Hotline is "What steps are to be taken when renaming a file in order to keep relations between models and drawings?"